Today is Mental Health Awareness day at How-To Geek. We’re all writing about how mental health issues have affected us in some way, and man, do I have a story to tell. This is a story about “accidental addiction” and the worst lie of all: a lie of omission. I write this because I have the opportunity for it to be heard by a great many. I dedicate this to the millions of souls who suffer from anxiety and who understand all too well just how wrongly it is perceived, and how the so-called cure for it can be–and usually is–worse than the problem itself. It is often said that a panic attack can’t kill you. I understand why it’s so necessary to get this point across, when you’re having a panic attack, you literally feel like you’re going to die. So, yes, in an immediate sense, you can’t die of a panic attack, but over the course of time, depending upon the way you treat your anxiety (or don’t treat it), it most assuredly can kill you. Four months ago, I wanted to end my life. This isn’t an easy thing to admit. I had a friend who recently hung himself, so suicide is a touchy subject for me right now. I’ve thought about suicide at various times during my existence. I’ve never taken these thoughts seriously. I don’t want to die and I don’t want to hurt my family and friends, but this was the first time that I truly questioned the worth of my own existence. I had to convince myself I wanted to live. It was a hell of a sales job, because I’m still here. My story is similar to many others. It’s not unique. In fact, when held up in contrast with those many others, it seems downright tame. Still, I spent over 8 months in hell, and I just can’t seem to let it go yet. What happened to me can happen to anyone–professors, housewives, executives, students, and on and on–and it very often does. People who never think of becoming an addict, who would never consider alcohol or weed, cocaine or heroin, to be a sound lifestyle choice, suddenly find them thrust into a battle for the core of their being. This is about benzodiazepines, or benzos for short, one of the most dangerous and addictive class of drugs out there. Benzo addiction and withdrawal have reached mythical status. You can often find testimonials all over the Internet from experienced drug users who say heroin and alcohol were easier to quit. Even Stevie Nicks is infamously known for saying that Klonopin was harder to kick than cocaine. The media is awash with stories about benzos. Benzos have killed or contributed to the deaths of Anna Nicole Smith, Amy Winehouse, Whitney Houston, and Heath Ledger, just to name a few. And yet, for all I and others know about them, it just doesn’t seem like enough people are actually aware of their potential dangers. Benzos are usually better known as tranquilizers. They’re often prescribed for issues like insomnia, anxiety, and in some cases, to control epilepsy. If you think you don’t know what a benzo is, then consider the following names: Xanax (Alprazolam), Klonopin (Clomazapam), and Valium (Diazapam). In all, there are dozens of benzodiazepine formularies, but these are three of the most popular. Xanax is by far the most commonly prescribed anti-anxiety medication, destroying more and more lives with each passing year. Benzos aren’t exactly the same as z-drugs, which are drugs that start with “Z” (you know, the letter that symbolizes sleep). You are also familiar with these as Ambien (Zolpidem) and Sonata (Zaleplon), but they both act on the same part of the brain, so if you’re taking Ambien, you’re likely just as screwed. I took Ambien three times. It never helped me to a full night’s rest, instead giving me an awful hangover, and swore I would never touch the stuff again. Here’s a really over-simplified explanation of how benzos and z-drugs work (and a more in-depth explanation if you want to know more): they stimulate the GABA receptors in your brain. GABA is the amino acid responsible for calming you down. At night, when you lie in bed to go to sleep, it’s GABA that helps you drift off to dreamland. The problem is, when you take benzos regularly, the brain basically stops doing its job. Instead of regulating GABA receptors itself, it downregulates this action, which means that after a time (there’s no set interval for this, it can take years or it can take a week), it gets harder to relax and sleep without benzos. Eventually, you may even find yourself in a state of constant sleeplessness and (ironically) anxiety, which is where I ended up. The horrifying thing about benzos is that, once you develop a dependency, if you stop abruptly, you can straight up seizure and die. And, even if you don’t, you can face months or even years of debilitating withdrawal symptoms. The worst case scenario is post-acute withdrawal syndrome or PAWS (cute, huh?). Even without PAWS, getting off benzos can take months or years. If you’ve been on them for more than 4 weeks, you stand a strong chance of having to endure a months-long taper. The longer you’re on them, the more you take, the more you take, the longer your taper, generally. Cold turkey is not an option, and fast tapers are a bad one. Oh, and if you’re lucky, you’ll maybe get one or two symptoms like anxiety and depression, or sometimes you’ll get a universe that can drive people into mental hospitals or rehab. There are one too many poor souls who have lost everything — jobs, relationships, houses — to benzo dependency. None of this is to say that benzos don’t have their place. Arguably, some people may really need them. Even many in the anti-benzo community admit as much, but for me, and countless others, what we really seek is a trusting relationship with our healthcare provider. We deserve to have the truth, and to not be handed bottomless scripts that lead us to believe that there’s nothing wrong, and we can stop whenever we want. No one should have a “big old bottle of Xanax” and not know what they’re possibly getting into. There are specific guidelines for prescribing benzos, namely they are indicated for short-term use only. Anything beyond 2-4 weeks dramatically increases your risk for dependency. A good benzo-wise doctor doesn’t have to necessarily illuminate you of all the risks, but he or she should impress upon you the importance of trying to develop healthy drug-free methods of coping with anxiety. Mine didn’t, and things got a lot worse than they should have. Personally, I’ve never been much of a pill person. I take my medicine when I’m sick, but for the most part, I’d prefer not to take pills for anything. I also want to emphasize that anxiety is a relatively new force in my life. I’ve been depressed since the onset of puberty, but anxiety came charging in just a few years ago. It’s like a force of nature, all you can do sometimes is hunker down somewhere safe and wait for it to pass, which if you’re lucky, it will, and if you aren’t lucky, it will stick around gradually shaking and blowing your life into tatters. I had my first full-blown panic attack in May 2011, after a good friend succumbed to a long, drawn-out battle with cancer. For months after this panic attack, I couldn’t function normally. I lost 30 pounds, my job, and very nearly watched my entire life slip away. I got by that time without any help from medication, but afterward, I was scared to death of anxiety. And as anyone with anxiety knows all too well (some 42 million American adults suffer from it): anxiety begets more anxiety. It’s a self-perpetuating disorder and getting off the hamster wheel can feel next to impossible. Further compounding the problem is the considerable gap between those with anxiety and those who’ve never experienced it. More often than not, you get a bewildered stare and some kind of retort like, “just get over it.” But anxiety doesn’t work that way. It’s like that moment when you almost get into a horrible car wreck, but don’t. It’s that moment of sheer unadorned terror and time seems to crawl, but instead of lasting a few seconds, anxiety can last minutes, hours, days, weeks, or even months. It’s like opening the taps on your adrenal glands and being unable to turn them off. After a while, you become so conditioned to the anxious state, that you simply are anxious, scared of everything, unable to relax, eat, or sleep normally. After that first instance, I vowed to destroy anxiety and rid it from my life. In fact, that was my only New Year’s resolution for 2012 — no more anxiety. I worked at being mindful about it: exercising, watching my thoughts, and avoiding anything that might contribute to or trigger an anxious state. That helped for a time, until my dog died in 2013. I found myself feeling despondent, and the anxiety began to creep back into my life, so I sought medical advice. The answer (it seemed) was simple: just a little pill. I was prescribed Klonopin (often referred to as “K”) and not only did the anxiety vanish, but I was able to sleep for the ages. It seemed like my problems were over, but there were caveats. I was warned by my prescribing doctor that Klonopin could be addictive, so I needed to be careful. That’s all she told me…that it can be addictive. She didn’t tell me how this addiction works. I was taught that addiction is a loss of control and a continuation despite negative circumstances be it legal, familial, financial, and so forth. I figured it would never get to that, that I would stop long before then. I never dreamed my very life and sanity would be at stake. I was very careful; I only took it when I needed. I tried coping with my anxiety in other ways: finding distractions, exercising, and I only took the K when I couldn’t calm my brain down. It took over a year to take the 30 pills I was originally prescribed. I didn’t even take a whole pill at a time; I had to cut them in half. It went on like this for two years. I’d have my Klonopin, just in case, which got to be further and farther between, and I’d typically let my script lapse. The K was there for emergencies, and it seemed for a time there were no more emergencies worth taking it for. But then, in the summer of 2015, things started to unravel. I got wound up in a very stressful, emotionally tumultuous relationship and I began to fray at the edges. Suddenly, I couldn’t handle even the smallest amounts of stress, and my anxiety began to mount, and I began to take the Klonopin just a bit more often. Then I had a truly traumatic event, which was next to impossible to process at the time. I don’t like to even talk about it but suffice to say, it was bad enough to push me over the edge. I began to lose sleep and would wake up in the morning in a panic and go to bed in a panic. I was trying to run 3 to 5 miles a day to stave off the anxiety. Again, I sought medical help and my doctor again wrote me a new prescription for Klonopin with 2 refills, which I now started taking more regularly. After all, I was anxious, and Klonopin was supposed to help. This went on for weeks, me taking half a pill in morning, half a pill at night, but still getting slammed with anxiety nearly nonstop. It just didn’t feel like the medication was doing its job anymore. I decided I needed to do some research–specifically, I wanted to know what kind of withdrawals I’d face if I decided to stop taking it. I did a cursory lookup, just a quick read, and my life was forever changed. Much of what one reads about benzo withdrawal can work like confirmation bias or a nocebo effect. In other words, a benzo users reads about withdrawal and often develop those symptoms. After all, if you’re already anxious, it’s easy to adopt more issues. One has to work very hard to avoid this, but when your brain has been tortured by panic attacks and chemically damaged by pills, this is a lot harder than it sounds. Moreover, withdrawals often target the sufferer’s primary symptom(s), or the reason for taking the drug in the first place. So, for me it was anxiety, as it is with most others, but it might also be insomnia, tinnitus, or seizures. When I first tried quitting benzos (which, by the way, is something you should talk to your doctor about before you do it), I did so cold turkey–a very unwise decision, which resulted in me being awake for 8 days. Insomnia is one of the chief withdrawal symptoms and often the last to resolve. Sleep problems among even short-term benzo users are legion. By the time I finally gave up and reinstated the K, I was hallucinating and unable to judge depth. During this time, the anxiety was incessant. I couldn’t be comfortable or relax. I was literally coming apart inside my head. My brain felt like a caged animal fiercely clawing to get out. It kind of amazes me that I managed to move all my things back from Texas to Florida without losing my mind. By the time I pulled up in my moving truck to my parent’s driveway, I was verging on a nervous breakdown. I couldn’t stop shaking, I was crying, unable to sit still, my heart was pounding out of my chest, I sweated incessantly, and I couldn’t sleep, at all. I remember going to the beach two days after getting back and pacing like an expectant father. I must have been quite the scene, me walking frantically up and down the beach, breathing heavily, and obsessively checking my phone. Again, I can’t stress enough, sleep was all but impossible. Making matters worse was my stubborn refusal to take the K regularly. I’d try to string out a dose over 3 or 4 days. The longest I could go without taking any was 6 days. All the while I was waking up (the rare times I could sleep) to panic attacks and trying to act like everything was normal. Straw Meet Camel. Camel? Straw. This all culminated at the beginning of January. I had decided once again to try to quit Klonopin and went on a business trip to Vegas. I wasn’t entirely stupid. I did bring the K along, but I refused to take it, which is hilarious when I think about it because I’ve always been scared of flying. It’s the one anxiety-inducing event when you’d think I would take it. I spent much of that trip holed up in my hotel room, afraid to leave (agoraphobia being another symptom of withdrawal). It was an awful week and I rue it to this day. What should have been a bright, fun, happy getaway, was a slog through hell. At that point, I knew enough about withdrawal to know that I had to start taking the K long enough to get home and reset. I reasoned with myself that I needed to just make myself comfortable, just stabilize, get home, and then figure it out. When I returned to Florida, I went to see my new doctor and asked him to put me on Valium. Valium has a reputation for smoothing the ride down because it has a substantially long half-life, between 30 to 200 hours. So, over time you develop more consistent blood concentrations. You don’t have “interdose withdrawals” (withdrawal symptoms between doses) such as with Xanax or Atvian (both have ridiculously short half-lives), but it’s also easier to withdrawal from than King Klonopin, which has a nasty reputation for being one of the worst benzos to kick because it’s so potent (see again: Stevie Nicks). My doctor agreed, but had reservations. He didn’t want me on it for too long (no more than 3 months), even though prior to that he would prescribe me just about anything. I often walked out of his office with an assortment of samples and scripts, and a look of consternation on my face. I didn’t want more pills, I wanted no pills. I wanted sleep, nice, healthy, natural sleep. The sleep of a teenager. I didn’t know how long it was going to take get off the Klonopin or the Valium, but that 3-month time limit made me nervous. Yes, I wanted off as soon as possible. That’s all I cared about, day and night, week after long, long week, but at the same time, this might take much longer than 3 months. I simply didn’t know. No one knows. One of the cruelest hallmarks of benzo withdrawal is the uncertainty of it all. You live in a constant state of unknowing. It can take weeks, months, or years. You have to respect the drug and most importantly, listen to your body. Jane, Get Me Off This Crazy Thing! Being on benzos is like climbing a tall tree. Each time you climb higher, the branches beneath you break off. Eventually you find yourself perched precariously at the top with no easy way to get down. That’s where I was in January. When you cross over from a potent benzo like Klonopin, you are supposed to do so gradually, tapering gently while introducing Valium so as not to shock your system. This is supposed to often take weeks; I did it in three days because I’m stubborn, and a little stupid. When I decided I was done with the K, I was done. The result was sheer torment and suffering. I can’t really articulate what it was like; it was nearly unending torture. There were no normal days. I was sensitive to noise, bright light, cold weather, warm weather, I was anxious, agoraphobic, and terrified really of absolutely everything. I couldn’t leave the house and yet I didn’t want to stay in it. Going to the grocery store was a celebratory event. Mowing the lawn was a momentous occasion. Cooking a meal was cause for rejoicing. Then there were the cognitive issues–thought impairment (cog fog), memory loss, and attention deficit issues. I’d have conversations with people and forget what they were talking about as soon as they’d said it. I’d sit at my desk, trying to work, to write, and I’d have no idea what to say. I couldn’t read. I’d look at the page, unable to follow even the simplest ideas and concepts. My days became a blur; I couldn’t remember what I did from one day to the next. Cognitive issues are scary, there were many days when I thought I was losing my mind, literally going insane. I worried incessantly that I wouldn’t be able to keep it together, that I’d lose everything, my job, my car, my house, my dignity. Of all of the issues attributed to benzos, cognitive impairment has some solid research behind it. There’s disheartening evidence that that they may cause permanent brain damage in some long-term users and may even raise the risk of alzheimer’s in older users. But, the worst symptom of all was the tinnitus. When the tinnitus showed up one cold Monday morning in February, it felt like my life was over. What else was going to happen? How in the world was I going to get off this drug? I wanted to die. I thought about dying almost constantly, it just seemed like the only way out. 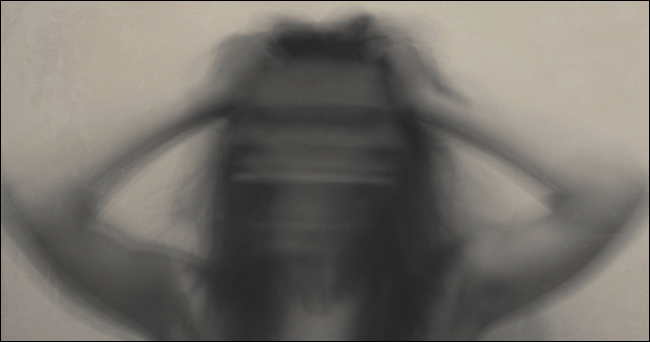 I had the worst kind of thoughts–horrible, dark, awful thoughts that terrified me. I had to stay with my parents because I didn’t trust myself to be alone. It’s hard enough to imagine being an insomniac with anxiety and depression, but tinnitus? Most of us can probably relate to that ringing you get when you go to a loud concert, but this was 24/7, in both ears, and inside my head. Literally the only reprieve I got from it was when I’d take a bath, because the sound of the running tap matched the pitch of the tinnitus perfectly, thus I had about 5 to 10 minutes of lovely “silence”. The tinnitus surfaced when I cut my Valium dose too sharply, but the K probably contributed as well. Klonopin has a nasty reputation for this kind of stuff and this was just a parting shot as it gradually gave up its grip. My new doctor (third time’s the charm) insisted I updose my Valium immediately and after 4 days the tinnitus all but vanished, on Valentine’s Day to be exact. I was so relieved I didn’t mind the nightmare I had about Donald Trump. I woke up from that dream and it was gone, and I was so happy. I spent the whole day working in my yard, on the verge of tears because the ringing was finally gone…almost. It came back for a time, though not as loud, for a few more weeks while I continued to stabilize on the Valium. That was at the latter half of February, and I was trying to get back into reffing roller derby for the local roller derby league. I was so out of it that I couldn’t relate to anyone. I couldn’t laugh or joke or have fun. I was emotionally blunted. I felt dead inside, like a witness to my own life, locked inside my head, unable to break out and enjoy anything. I’d watch people laughing and joking and I would feel this terrible sense of loss and envy. Why couldn’t I laugh and joke? Why couldn’t I relate? Where was I? I’d go to roller derby practice and stand there on my skates looking calm and collected, while my heart would pound and my mind would scream at me to just leave, to get in the car and drive off. I was afraid of everyone and everything, and especially that the sound of those shrill ref’s whistles would aggravate my tinnitus. How do you explain all this to people you’re trying to befriend and gain their trust? You don’t. You just try to act normal…act being the operative word. I decided it was time to head down off of Valium on February 27, 2016. It was after reffing my first roller derby bout after many months off. I actually had fun, I was largely present, and I even laughed a couple of times. Laughter was all it took to reaffirm my determination. It shocked me, this foreign sound and sensation emitting from me, but I immediately knew I wanted more. I was stable at 2.5 mg, an inconsequential amount when some people take 20 mg, 40 mg, sometimes over 100 mg a day. But, the last few milligrams are often seen as the hardest, and to me it seemed almost insurmountable. I was thinking it might take six months or more to taper off. Thankfully, that didn’t turn out to be the case. It wasn’t at all like getting off the Klonopin. In the end, tapering off that little amount of Valium was a little precarious at first, but gradually became much easier. Not easy, but easier. I had debilitating depression for most of that time, in addition to the usual sleep problems. I had awful, crazy, vivid dreams, nightmares, and night terrors, which made me scared to even try to sleep, even though I had to. In the morning, I had anxiety-intensive intrusive thoughts and memories that fearfully drove me out of bed. Memories of people I’d left behind would crowd my head, things that had happened that I hadn’t remembered in ages would come flashing back, songs would get stuck in my head all night, over and over and over. Most days I felt like I had a low-grade flu. I had no energy, no vitality, no emotions except anger and sadness, or worse, overwhelming apathy. I became extremely food sensitive. I had strict requirements as to when and what I could eat. I started making tons of smoothies because it was the quickest and easiest way to get my nutrients. I stopped eating anything with sugar in it. I couldn’t handle the slightest bit of spice. And coffee has only recently found its way back into my life, before I tapered, even the slightest bit of caffeine would send me careening into anxiety. I miss beer, by the way, I haven’t had a beer in over six months. Alcohol works on the brain in much the same way as benzos, so it’s out of the question for the time being. The last time I had any alcohol was a lovely glass of Zinfandel in Vegas in January. I can still taste it like sweet forbidden fruit. I could go on, but by now you’re probably getting the idea. Each benzo user goes through their own unique, often arduous ordeal, and this is mine. I didn’t start taking them because I wanted to, but because I thought I had to. My original prescribing doctor only told me a small part of the story. She let me walk right into hell and closed the door quietly behind me. Some might argue that I should’ve done my research, but I didn’t think of that. Anxiety doesn’t make you rational, it makes you desperate for it to stop, and you’ll do just about anything to make it stop. The thing is, this happens all the time. There are literally millions of people taking these drugs, either blissfully unaware, just starting to find out what they’re in for, or trapped in hell, screaming and clawing to get out. My jump date from Valium was April 3, 2016. I actually didn’t know I was going to jump. I took what ended up being my last dose that day around noon that day and spent the rest of it feeling down and out of it. The next day I didn’t take my dose during the day and went to a breathing class. After, as I was driving home, I decided I was done. No more Valium. I had tapered down from 2.5 mg to .6 mg in just around five weeks, and I didn’t want to take another crumb. It’s hard, almost impossible, to explain what recovery is like. There are no analogies or metaphors. You start to see yourself coming back and you grab yourself and hold on for dear life. I’ve never missed anyone the way I missed myself. I spent over half a year of my life in a fog, terrified and lost. Things are better, substantially so, but I’m still not 100%. I still can’t sleep like I used to, though it’s coming back little by little. Other things like the anxiety has diminished enough that I can get through the day with little worry. The horrific depression, which the Valium exacerbated so much, has eased somewhat but it still comes tromping back in way too often, and while I still don’t feel the thrill of being alive, it too is returning, albeit occasionally. Everything else–the agoraphobia, hypersensitivities, akathisia, tinnitus, depersonalization, and so on–has all gone away. Even the cognitive issues finally seem to be letting up. The fog is finally clearing so-to-speak. I can have conversations and remember things, read, write, and mentally function almost as well as before. I still have my bad days, and they often outnumber the good ones, but there are good days. Still, I remain cautious because benzo recovery is very much a non-linear process. There’s no timeline or reliable rate of recovery or method to how you will heal. I’ve always been a fast healer and my metabolism is high, so that might have something to do with my fairly rapid recovery. That said, it may take many months before I can begin to rest easy. Until then, I continue to approach everything one day at at a time. But hey, that’s a huge improvement over before where I couldn’t plan my life out beyond an hour. In the end, I can say conclusively that I made it. I’m a little amazed that I did, and then again I’m not. I was beyond determined to get through this. I managed to keep my job, fix up my house, adopt and dog and a cat, buy groceries, work out, and on and on. I haven’t missed a single day of work throughout this entire ordeal. None of this was easy, at all. For most days between September and March, I was terrified of everything. I look upon this as my moment, the point at which I step into myself and assume control over the rest of my life. I did it, and everything that comes after is a relative piece of cake. All that said, I’m not writing this to attract attention to myself. At this point, what happened to me is no longer a day-to-day worry, and sometimes not really a worry at all. Happily, there are many cases of people who withdraw peacefully and with little problems, and yet, there are still many others who don’t. These people aren’t making this up. My anxiety, depression, cognitive impairment, and especially my tinnitus are and were very real, and these problems and many more are equally real to other sufferers. Anxiety disorders can often result in benzo dependency. It is a continuing and mounting problem and I can only hope that by sharing my story, I can raise a little more awareness. If you or someone you know is dependent upon benzodiazapenes, I urge you to do some research. There’s a bevy of resources out there where you can start. One of the best places to start is the Ashton Manual, if you’re looking for actual online support, pay a visit to Benzo Buddies. Benzo dependency changes everything. I will never be the same, but that’s okay. I’ve learned that I love myself and my life more than I ever thought possible. More importantly, I’m continually less and less afraid. I feel more often like I can do anything, and I probably can. If I can get off of benzos, everything else seems easy. But, what about all that anxiety? For that I had to adopt a healthier, more mindful approach: exercise, diet, and most of all, meditation. Meditation changed everything for me. That, coupled with cognitive behavioral therapy and I haven’t had a significant anxious episode in months. Yes, it’s still there, lurking, but as time goes on, it becomes less of a presence. Vigilance and distraction are important. Knowing what it takes to overcome it is only one part of the solution, the real work happens on a day-to-day basis. Benzodiazepines, for as much relief as they bring to a sufferer in the short term, do nothing to “cure” the problem. In fact, they almost always make it far far worse. I know a lot of people who suffer from anxiety, and they all say the same thing, it’s a horrific debilitating affliction. If I had a worst enemy, I wouldn’t wish it upon them. No one deserves to suffer like that. It’s vitally important to reiterate that if you are taking benzodiazepines and are thinking you want to quit, don’t. Talk to your doctor first. Do not simply stop taking them, I repeat, DO NOT go cold turkey. A quick Google search turns up all kinds of horror stories of people who’ve abruptly stopped taking them. If quitting cold turkey doesn’t cause you to seizure, then you still may be looking at years of protracted acute withdrawals. At the very least, if you don’t think you can trust your doctor, then find another one. If you do trust your doctor but they don’t seem to understand what you’re going through, then print out the Ashton Manual and show it to him or her. A lot of doctors just don’t know or understand, but once they do, they’re often all too happy to help. It took me three tries to find someone who at least had some knowledge of withdrawals and tapering. I owe her a debt of gratitude. She assured me that I had as much time as I needed, which is all I wanted. It’s extremely important that if you are determined to taper off (tapering is the only acceptable and safe method), that you have a trusting relationship with your physician and that you listen to them and they listen to you. I can’t stress enough how important it is to have a doctor who you can trust. Finally, you should know that there is help out there if you need it. You are not alone. 1 in 5 American adults suffer from some sort of mental health condition. Your mental health is just as important as your physical health. The National Institute for Mental Health has a bevy of resources you can utilize to find the help you need for you or your loved one. Or, if you prefer to help in other ways, then you’re urged to donate generously or volunteer your time. That’s all you can do sometimes, keep going, find the help you need, and never give up.